Shop online for 34 model railroad books at discounts up to 36%. Kalmbach is ranked #1 out of 4 model railroad books manufacturers, followed by Atlas, and Woodland Scenics. This is the first user-friendly, modern, and up-to-date model railroading wiring book for all scales and levels of expertise! This book is compatible with most systems. 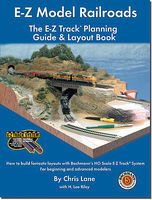 This is a Model Railroading Made "E-Z" with Bachmann's E-Z Track System Book from Bachmann. 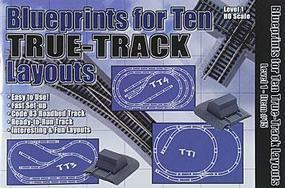 "Blueprints for Ten True-Track Layouts" is a Level 1 HO Scale Book from Atlas. Basic Pntng/Weathering Model Railroaders 2nd Ed. 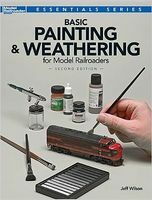 This is the "Basic Painting & Weathering for Model Railroaders" 2nd Edition Book from Model Railroader by Kalmbach. Author: Jeff Wilson. HO Layouts for Every Space is the fully updated and revised edition of Atlas' most popular railroad instruction book. This book picks up where the #9 book (ALTZ0009) leaves off, giving you the blueprints for more advanced layouts HO-13 to HO-23. N SCALE fun starts here! Open this book for an introduction into the world of ATLAS N scale. Newcomers will find it easy to construct and wire the layouts in this book. Inside this book you'll find seven track plans that were designed to fit into spaces both large and small. So whether you are a beginner, intermediate or advanced model railroader, you'll find a railroad that best fits your space. This is the "25 Freight Car Projects" Book from Model Railroader by Kalmbach. Author: Bernard Kempinski. This is the Designing & Building Multi-Deck Model Railroad How To Get More Out Of Your Space by Kalmbach Books. 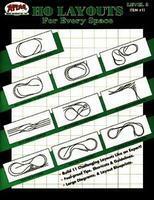 This is the Classic Toy Trains "Wiring Your Toy Train Layout" Book by Kalmbach. Author: Peter H Riddle. 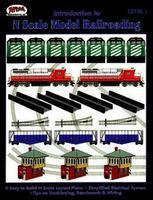 This is the Model Railroader's "50 Ways to a Better-Looking Layout" Book by Kalmbach. Author: Jeff Wilson. 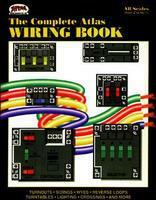 This is the "Wiring Your Model Railroad" Book from Model Railroader by Kalmbach. Author: Larry Puckett. This is the "Realistic Animation, Lighting & Sound" Second Edition Book from Kalmbach. 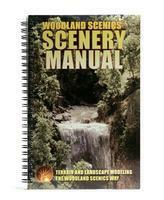 This is the "Basic Scenery for Model Railroaders" 2nd Edition Book from Model Railroader by Kalmbach. Author: Lou Sassi. This is the "Tourist Trains Guidebook" 5th Edition from Kalmbach. This is the "Airbrushing for Scale Modelers" Book from Model Railroader by Kalmbach. Author: Aaron Skinner. "Trackwork for Toy Trains", by Peter H Riddle, is a Classic Toy Trains Product from Kalmbach Publishing Company. This is the Model Railroader "Guide to Industries Series: Livestock & Meatpacking" Book from Kalmbach Publishing Company. Author: Jeff Wilson.